If you prefer to use Microsoft Edge these days, then I am sure that you had noticed that it’s not has a Home button, which makes the user using the “Back” button a lot of time, this guide is going to take you to step by step how you can enable the Home button on Microsoft Edge. 1. 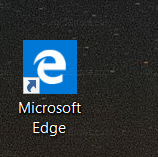 From your Start Menu, or from the icon on your desktop called “Microsoft Edge”, run it. 2. Once you run the application, on the top left of your screen, click on “More” and then click on “Settings”. 3. Scroll down till you see “View advanced settings” and click on it. 4. On the top of the advanced settings, you will be able to see the option “Show the home button” which is already turned off like the below screenshot. 5. once you enable it will give you the opportunity to see where the home button can take you, you can set a specific homepage for your computer, for example, my home page is our website. 6. Now you can see that the Home button appeared on the left section of Microsoft Edge, and if you click it, it will take you to the website that you had set it on the settings. 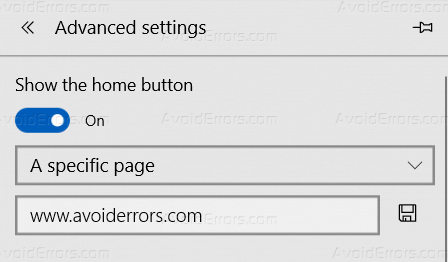 After this tutorial, you should be able to know how you can enable the Home button on Microsoft Edge, and also how you can set your preferred home page.